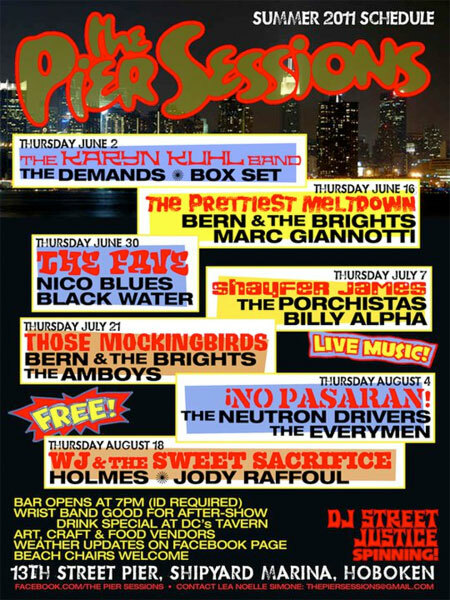 Fear not Hoboken because the long-anticipated return of The Pier Sessions has been confirmed, and I have the schedule. This is quite simply great news. I can’t even express just how happy I am right now. In life these days, things are often assumed to be temporary. Fleeting moments of fun with music and friends that will be replaced by a chain store or lost in a political battle or fall victim to circumstance. Longevity tends to be a rarity. Thankfully, a recent Facebook message put any such fears to rest for an amazing art, music and food series. 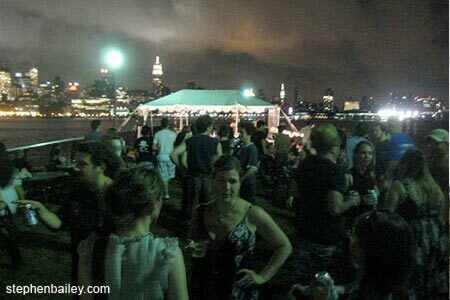 The highly anticipated return of The Pier Sessions to the 13th Street Pier at Shipyard Marina in Hoboken has been confirmed. Below is the 2011 schedule. Don’t miss out on an absolutely amazing way to spend a summer evening.